As our skin and bodies begin to age we experience a physiological change that diminishes the synthesis of collagen within the dermis, and slows our cellular turnover rate to expose noticeably older looking skin. Elasticity, volume, and water loss are factors that reveal the signs of aging such as sagging, intense dehydration and discoloration. 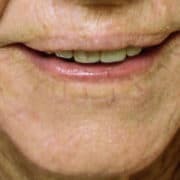 The cells that compose the outer layers of our skin don’t turnover as fast as they did when we were ten years old, as collagen and cellular production slows to nearly half that rate as when we are in our twenties. If we are not altering how the skin is functioning the skin will continue to age and operate without any positive change. Fortunately, we can now can reverse the signs of aging. Lasers are some of the few tools that can utilize light energy to create positive change within our skin and reverse the signs of aging. Lasers emit one simple frequency of purified light that can “zero in” on a specific target, allowing a laser specialist to choose just the right laser for a specific purpose, utilizing more than one laser to treat multiple skin conditions. The higher the “target specificity”, the lower the required energy, which means fewer side effects are experienced, allowing for less downtime and minimal risk. 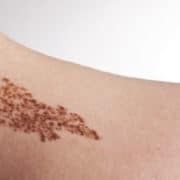 In pigmented skin lesions, the targeted pigment is melanin, which after absorbing the laser’s energy will break up and disintegrate over the course of a few days, or turn into a scab and simply fall off in 1-3 weeks. In vascular lesions such as spider veins and broken capillaries the laser energy is absorbed by hemoglobin, which instantly collapses and destroys the unwanted vein. Over the course of a few weeks the body simply dissolves and removes any remaining fragments of the destroyed vein. 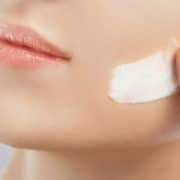 OILY SKIN — Most people have oily skin due to an excess of “sebum” on the skin surface. 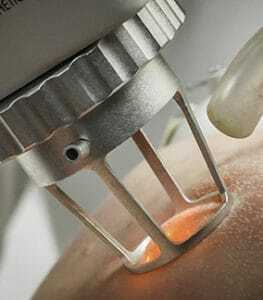 Procedures like Photodynamic Therapy with V Beam Laser can greatly reduce the production of oil on the skin. Also, topical skin care products containing: retinol, salicylic and glycolic acid can help to dry up excess oil. SkinCeuticals Simply Clean is a glycolic acid cleanser that is very effective on oily skin types. 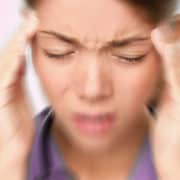 ACNE — Acne is a result of many factors. Most common culprits are hormones, bacteria, and clogged pores. 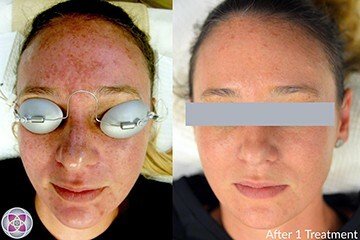 Photodynamic Therapy is a great option for those that want a “holistic” therapy to treat acne without oral medications. Topical creams can also help in the right combinations. SkinCeuticals Clarifying Cleanser, 5 fl oz is a non irritating salicylic acid acne cleanser that can help to unclog pores. SkinMedica Retinol 0.5 Complex, 1 oz. is a Vitamin A derived topical similar to Retin-A, that can be used to keep pores unclogged, smooth out the surface texture and improve discoloration caused by acne pimples. DRYNESS — The obvious and best relief for dry and dehydrated skin is moisture. Using Vitamin B infused products like Skin Medica’s Hydrating Complex can greatly improve and hydrate dry skin. BEGINNING SIGNS OF AGING — We should become familiar with the basics—the A,B,C’s of good skin care (Vitamin A (Skin Medica Retinol Complex) Vitamin B ( Hyluronic Acid, B5, Skin Medica Hydrating Complex) Vitamin C (SkinMedica Vitamin C+E Complex, 1 oz.). These three basics are a strong army to fight against, and reverse, the early signs of aging: brown spots, fine lines, decrease in skin elasticity. Non-ablative, fractionated anti aging laser treatments, like the Fractional C02 Laser, are the exciting new trend for those who want to maintain and enhance their skin tone and texture. These procedures build new collagen so results are visible and permanent as long as skincare habits are consistent and sun exposure is avoided. In addition to skin care to reverse the signs of aging, Botox Cosmetic and Dysport treatments have become “industry standard” for those fighting and reversing the early aging signs mentioned. Botox Cosmetic or Dysport is easy, affordable and effective, which is why it has become the most popular anti aging cosmetic procedure in the world. DEEP LINES AND WRINKLES — Anti Aging Laser Treatments for deeper lines, folds and wrinkles often require a bit more advanced intervention. More aggressive laser treatments might be recommended to resurface and lift the skin. These options require some “downtime” from several days to several weeks. Dermal fillers like, Juvederm, Restylane and Radiesse, offer great results but have to be done a few times a year to maintain. ROSACEA — Rosacea is an inflammatory skin disorder that causes skin to become red, irritated and/or sensitive. Broken capillaries are often visible on the skin around the cheeks, nose, chin and forehead. Sunscreen is the most important product for Rosacea sufferers, as sun exposure can make symptoms worse and should be avoided whenever possible. V Beam Laser treatment is the “gold standard” for treatment and suppression of blood vessels on the skin surface. This treatment has very little downtime, mild redness and swelling for 24-48 hours after treatment, and can be done every 3-4 weeks until desired results are achieved. Because of the incredible developments and research that have taken place at AMA Regenerative Medicine & Skincare over the past 19 years in regards to target specificity, many different types of lasers can now allow for an extraordinary range of customized anti aging laser treatments that can create real positive change for a myriad of skin conditions. AMA is the single leading medical aesthetic facility that has trademarked such amazing multiple-modality laser protocols such as the SpectraLift Non-Surgical Facelift, a facelift without surgery, that have redefined beauty for every patient that has had the opportunity to experience such an incredible positive physiological change within the functionality, look and feel of their skin. 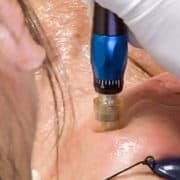 Microneedling : What is it? Does it Work? What are the Results?